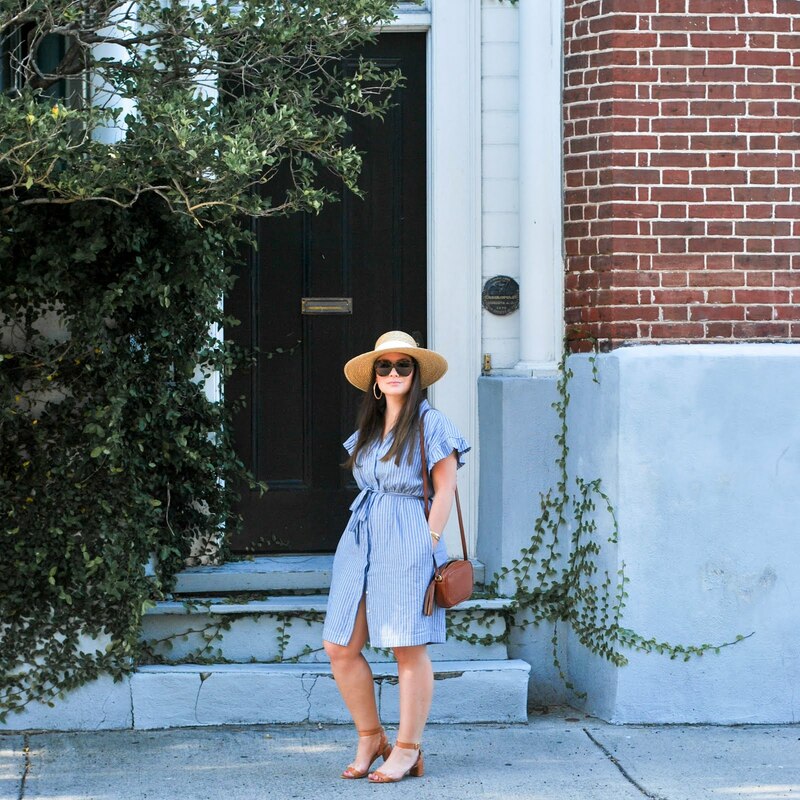 The deets: J.Crew dress (not maternity - was able to wear my normal size, similar pretty eyelet for under $85) & earrings; Marc Fisher heels; Kate Spade bag (similar, similar under $90). 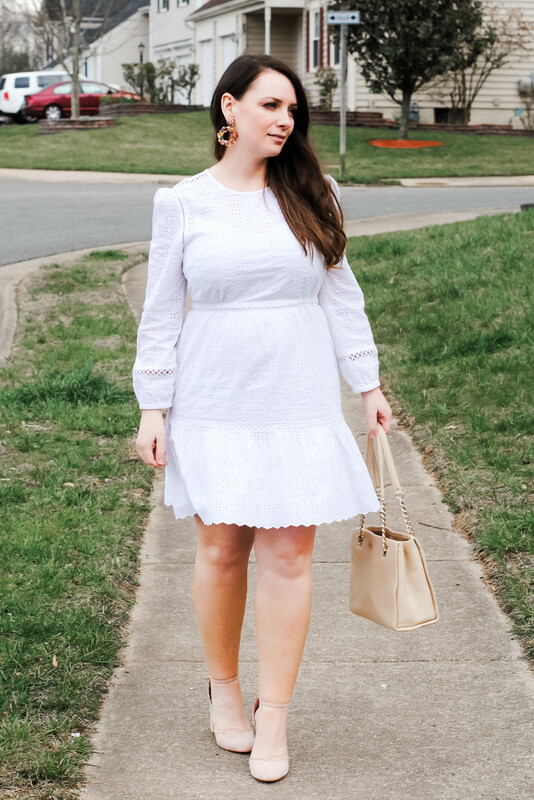 I wore this to Easter church and dinner last weekend and started out the day feeling like I looked pretty good - but then nine hours later, at the end of the day, when these photos were actually taken, sans looking in a mirror (just forced my husband to snap them before we left to go home) - I am not as convinced. Although I have noticeably tired bags under my eyes and my hair that was nicely curled and styled in the morning is now a deflated mess - I still loved my dress so here we go! 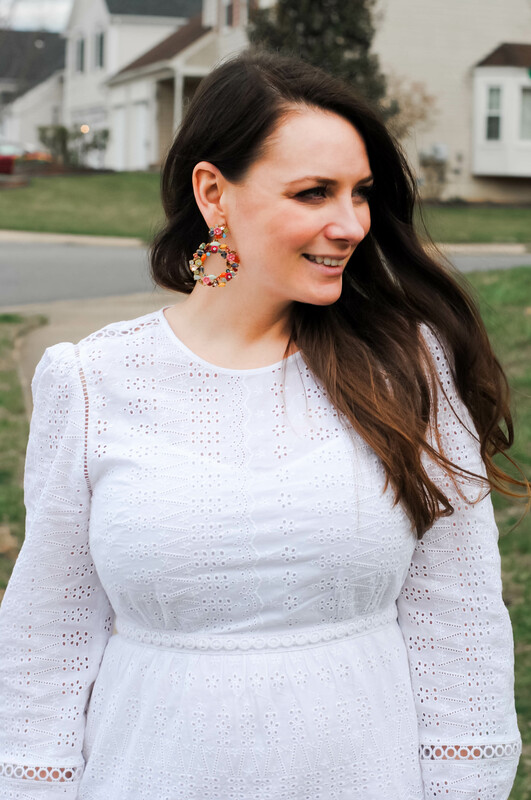 I was able to wear my normal size in this one since there is a nice little area for my 18 week bump (or food baby - I did have second helpings of ham and all the Easter candy).